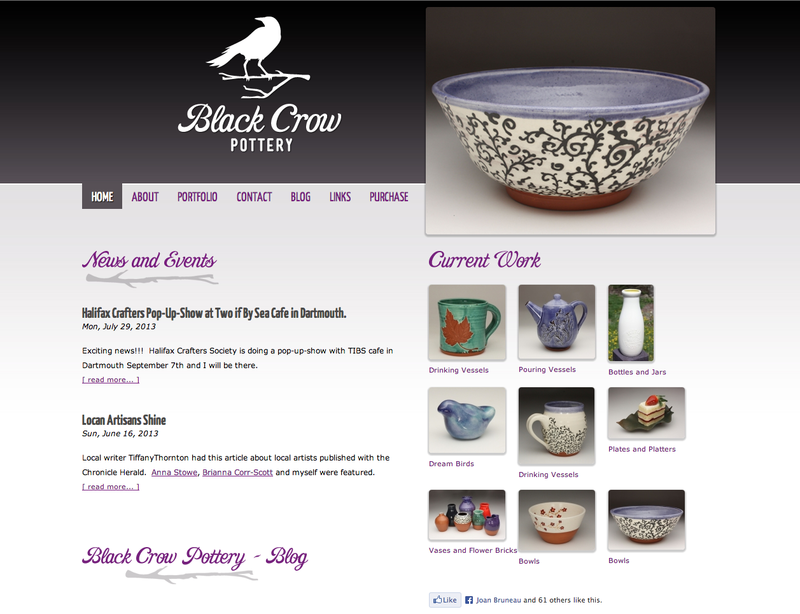 Black Crow Pottery in Dartmouth Nova Scotia required a website for their new business. The website needed to be easy to maintain and match their existing brand. 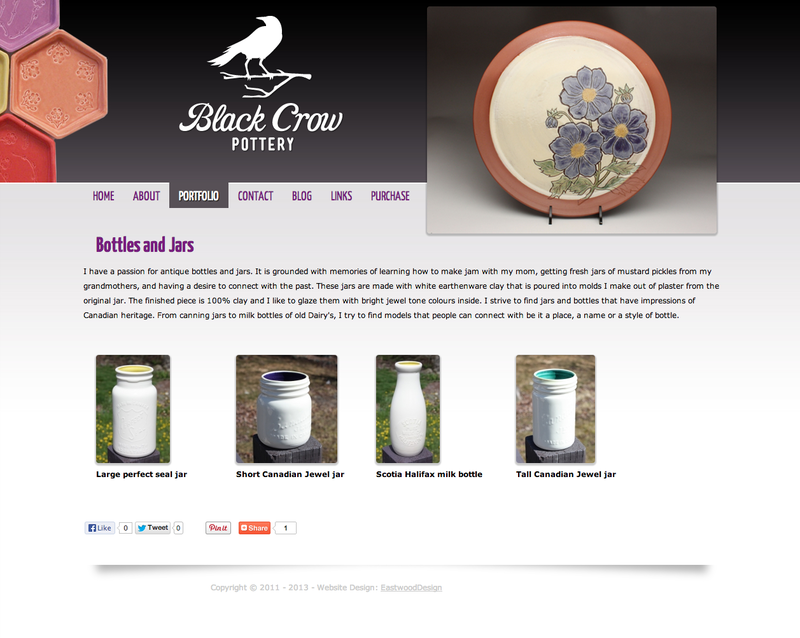 The client wanted to be able to post new products easily and without much fuss. 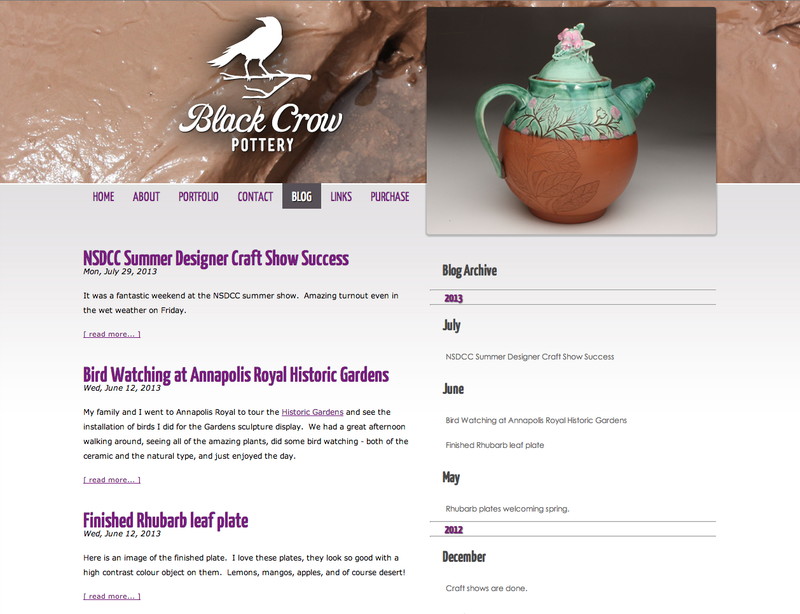 The result was a website that is very easy to maintain and included a gallery and blog.